Yesterday, an amazing thing happened! 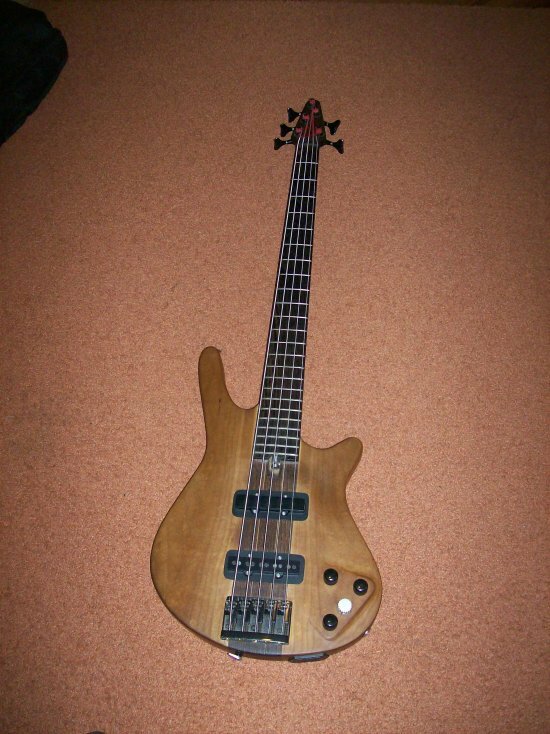 I was contacted by Igor, from Serbia (former Yugoslavia), who told me that he had seen my long lost Kebbon Bass V! I built this approximately 1989-90 to sell it but it was stolen before I had a chance to do so. I have been watching music videos and tv appearances ever since and sometimes thought that I had a glimpse of it, but there are plenty of basses that have similar appearance. It is now for sale, and Igor spotted the ad. The pickups have been replaced with a pair of MusicMan, but otherwise, it looks the same. Igor helped me contact the seller, who reported that he had owned it for some 5-6 years and bought it in Serbia. 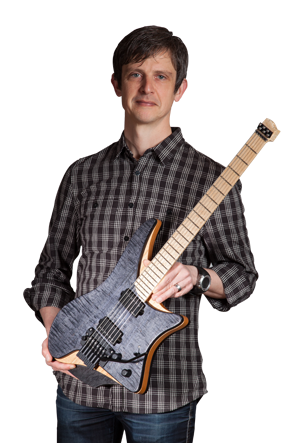 Quote: It “has great sound and playability, and sounds something beetwen Jazz bass and Warwick”. It’s been 20 years, so obviously it’s too late to recover it. I just feel that it’s fun to see what became of it. Current owner: feel free to post back! I have seen it in advertisements, so I found you when ask for some info in google. Price is “by agreement” and you maybe can take it back, if you interested.